75th Innovation Command - Join Our Team! MISSION: The 75th Innovation Command drives operational innovation, concepts, and capabilities to enhance the readiness and lethality of the Future Force by leveraging the unique skills, agility, and private sector connectivity of America's Army Reserve. 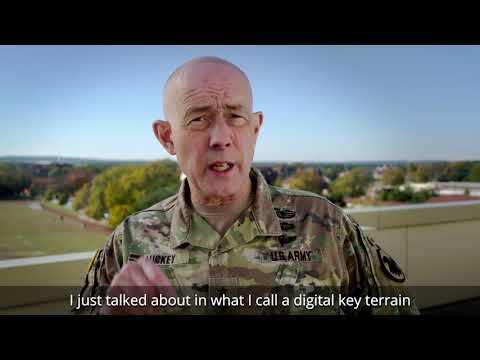 VISION: The 75th Innovation Command drives operational innovation, concepts, and capabilities to enhance the readiness and lethality of the Future Force by leveraging the unique skills, agility, and private sector connectivity of America's Army Reserve. How do I join the 75th Innovation Command? May 5, 2017 - More than 100 members of the 75th Training Command are lending their time and subject matter expertise to help train commanders and their staffs participating in WAREX 86-17-02 on how to more effectively conduct mission command and use the military decision making process in a tactical environment. 1st Brigade, Great Lakes Training Division, 75th Training Command has provided experienced trainers to observe, guide and mentor the training audience units participating in the exercise. May 5, 2017 - Technological advances are happening on a daily basis. Every day, new operating systems, programs or servers go up, creating new challenges in the cyber environment. May 4, 2017 - A cacophony of multiple conversations, keyboard clicks, and ringing phones permeate the interior of a building illuminated by fluorescent lights and an assortment of computer screens. 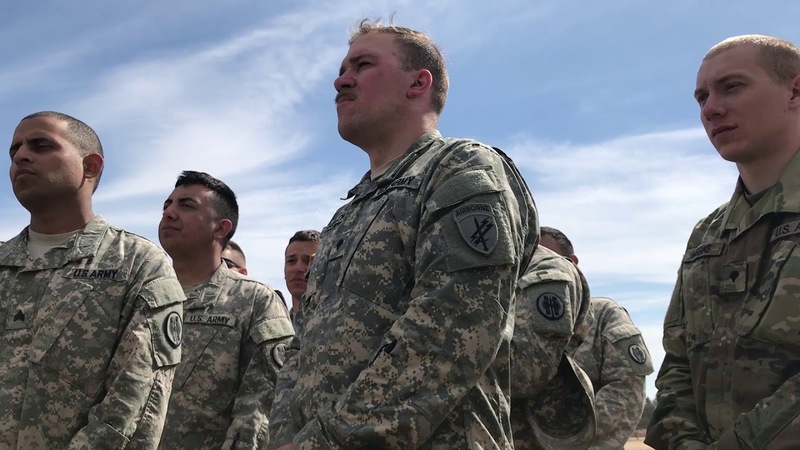 In spite of the deafening chorus, U.S. Army Reserve Soldiers of the 75th Training Command, Gulf Training Division out of Birmingham, Alabama, conduct their duties in an undeterred fashion. April 25, 2017 - The four-day conference focused on operation synchronization between the states, finalizing attendance, and ensuring that all the behind-the-scenes coordination was identified and finalized. During the exercise, members of the U.S. Army Reserve Command’s 75th Training Command will support the command and control element, the training analyst cell, and the assessments cell. July 25, 2016 - Members of the U.S. Army 75th Training Command brought their observer controller/trainer expertise to Eastern Accord 2016, July 11-22, at the Tanzanian Peacekeeping Training Centre, Dar es Salaam, Tanzania. Feb. 23, 2016 - The Army Reserve knows the importance of observing those that have shaped the country. The Great Lakes Training Division, 75th Training Command located at Fort Sheridan, Illinois, is a great reflection of that. Feb. 3, 2016 - Turbulent times call for vigilance on the part of every Citizen, to ensure the safety of not only the ones they love, but the public in general. Nov. 5, 2012 - During a time of budget constraints, organizations all across the military are seeking ways to maintain effective training and readiness at the lowest possible cost. Sept. 9, 2012 - Army Reserve personnel were among thousands on hand here today to salute the final voyage of a retired spacecraft. March into the Future with Innovation Command! Click HERE to learn how to join OUR TEAM! 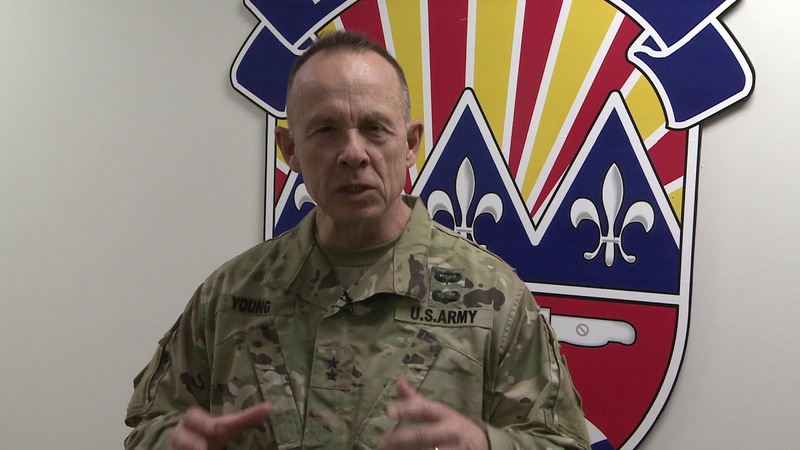 Major General James V. Young JR.